Arcare Oatlands opened on Monday 19th March, Arcare’s third site in New South Wales and 36th across the eastern states. 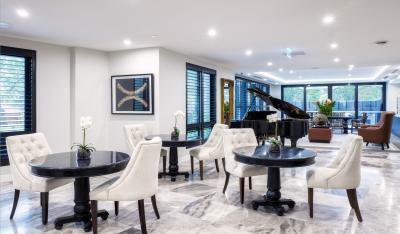 Having been involved in seniors’ care for over 40 years this privately owned and operated Australian family business, Arcare are known for their five-star level of care and built environment. Offering 110 suites with balcony or court yard access, a boutique café, hair salon and wellness centre, this is seniors living at its best. Arcare won a Federal Government Better Practices award for their unique Dedicated Assignment which ensures that when staff come to work, they care for the same resident’s. The results have been outstanding with better health outcomes for residents as they build a strong relationship with staff and receive continuity of care. 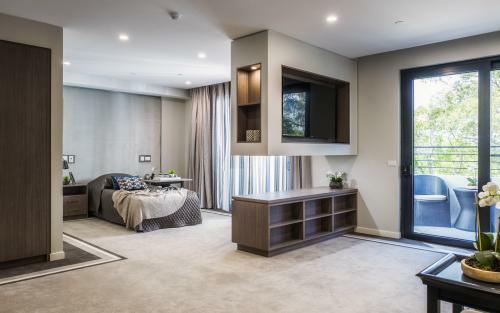 During the Public Open Day at Arcare Oatlands, many who toured commented on the warm atmosphere of the residence, large open court yards, varied lounges beautifully appointed and the modern residential suites with the latest technology. Arcare Oatland’s Resident Manager, Louise Temminghoff has been with the organisation for over 5 years and has been busy preparing staff to welcome their first residents into the Arcare community. If you would like to find out more information or arrange a personal tour you can contact them on 1300 272 273. Alternatively you can contact Tina Stearn, Client Services Manager direct on 0436 684 586.